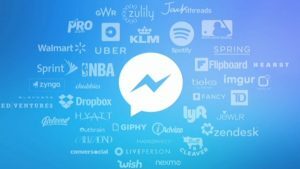 It has been nearly six months since Facebook launched the Messenger Platform at F8 conference, but its main feature, namely chatbots, still continues to remain a hot topic in the tech industry. What Is All That Hype About? Truth be told, chatbots have been around for years. One of the earliest examples of this technology is ELIZA, a natural language processing system created by Joseph Weizenbaum in 1966 that used to parody psychoanalyst’s responses in its human-like conversation with the “patient”. More recently, artificial intelligence-powered interactive software that recognises natural language text and is able to perform simple routine tasks has been integrated into numerous messaging services, including Slack, Telegram, and Skype. 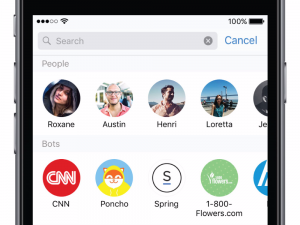 However, Facebook’s introduction of bots for Messenger truly marks the coming of a global change. 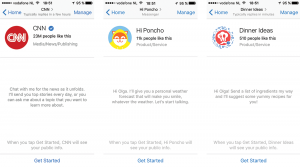 Earlier this year, Facebook announced that more than 1 billion people now use Messenger every month. And that is an astoundingly large potential audience that will surely attract a great number of companies, all looking to interact with customers in a “more personal, more proactive, and more streamlined” way that chatbots and conversational user interfaces are now offering (Rosenberg). It could be argued that Messenger is set to revolutionize not only our communication with businesses, but the Internet itself, becoming virtually a one stop shop for all of our online activities. Connecting with friends and family, booking tickets, receiving weather or traffic updates, planning events, making dinner reservation, shopping and much more will now be possible from within a single app. A popular messaging platform is becoming a “mini-web” (Hempel). David Marcus, who is the Head of Messaging Products at Facebook, believes that chat is the future of the Internet, and Messenger is the future of chat (Hempel). But until chatbots have entirely replaced the apps, there is still time to consider some of the possible implications of this new trend. According to Evgeny Chereshnev, Facebook is one of the few companies currently able to create a global bot platform (with the others being Apple, Google, Microsoft, and Amazon) and also one of the most interested in the success of its take-off. It is no secret that the company uses different metrics to profile users for its advertisers (Oboler, Welsh, and Cruz), and is great at turning collected information into profit (Marr). And thanks to the access to huge amounts of previously gathered personal data, company’s bots are likely to be “the smartest and the most adaptive, accurate, and fast-learning” (Chereshnev), which would ultimately make them enjoyable for users. Artificial intelligence technology at last entering our daily lives is bound to be exciting. Specifically, chatbots’ ability to learn from previous interactions and evolve could be used to provide us with helpful information based on our interests or current needs, significantly reducing the time and effort required to find what we actually want (Elimeliah). But we have to bear in mind that the same machine learning techniques will most probably be at work to make our virtual companions more sophisticated and skillful at data gathering. We as users, in our never-ending pursuit for speed and convenience, are increasingly being put in position where we have no choice but to entrust our personal information with giant corporations. With the Messenger Platform this may become ever more natural to us. Chatbots will now be inconspicuously sitting among our friends in what has always been a private area of our social networking. Essentially, they will be acting like friends too – sharing content, answering questions, encouraging, and being genuinely interested in us, albeit after we make the first move. There is little doubt that Messenger Platform is to become a yet another powerful tool for assembling all those precious details of our online behaviour and offline preferences for effective monetization. The technology behind chatbots, as Microsoft’s Tay has recently demonstrated, may still have a long way to go before becoming a sci-fi dream come true and it remains to be seen whether chatbots and conversational user interfaces will stay a temporary fad or become the next big thing in tech (Libin, Nadella). Nevertheless, it is never too early to start questioning and being aware of the real purposes these virtual assistants might have been initially made to serve. This may as well be a necessary stepping stone toward a more meaningful human-computer interaction, but for the time being let us not forget who our true friends really are. « Share a Dream: A new way to connect people ?